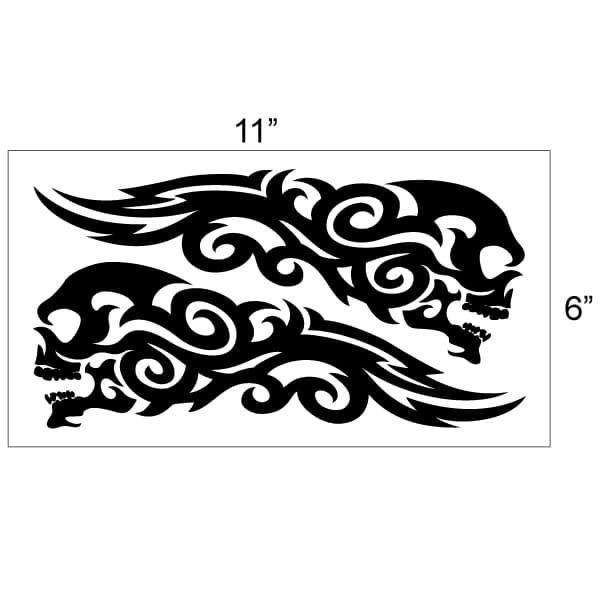 Each Decal is 10-1/4 inches wide and 3-1/2 high, Perfect to fit on most motorcycle tanks and many hard saddlebags. 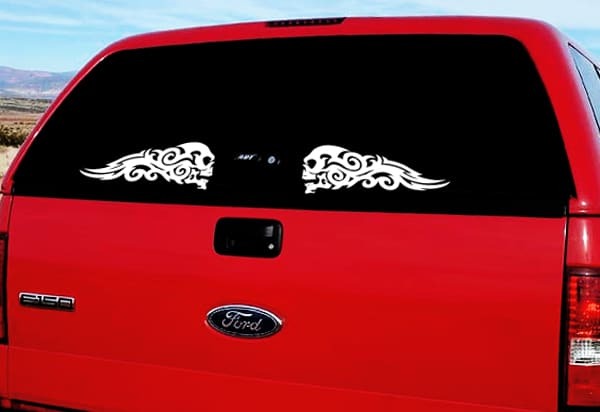 Our Tribal Skulls Vinyl Decal Set is made from outdoor grade vinyl film and will stand up to car washes, harsh sun, and snowstorms for years. 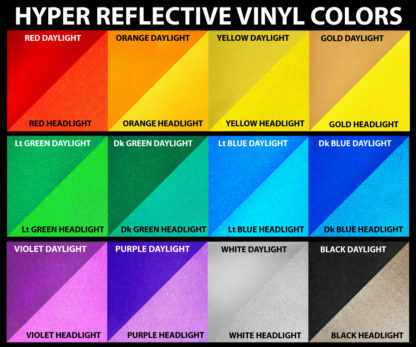 We have a rainbow of different vinyl colors you can choose from. 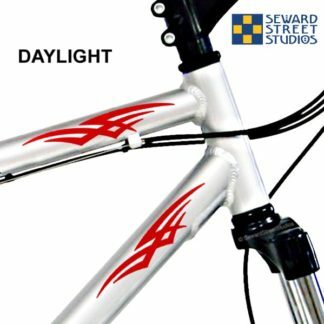 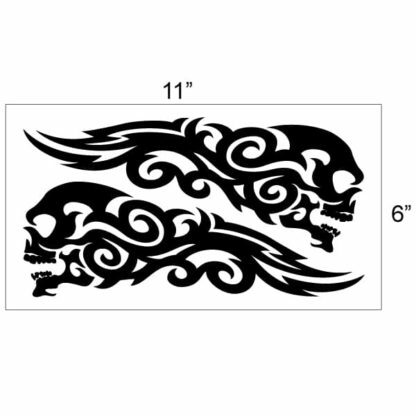 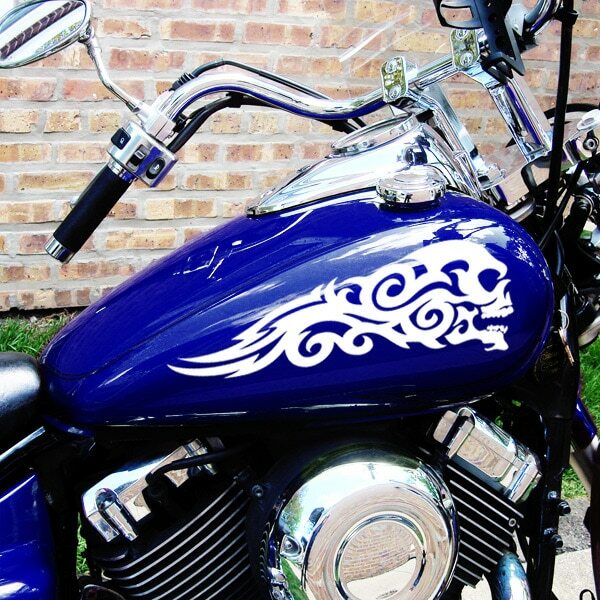 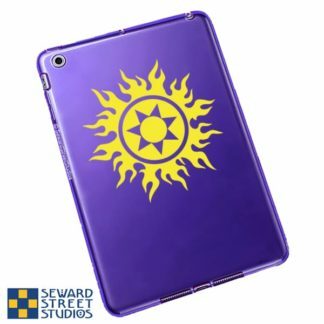 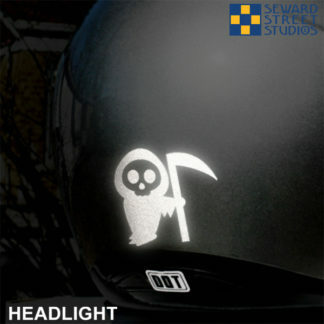 We will be happy to cut a custom color Tribal Skulls Vinyl Decal Set just for you! 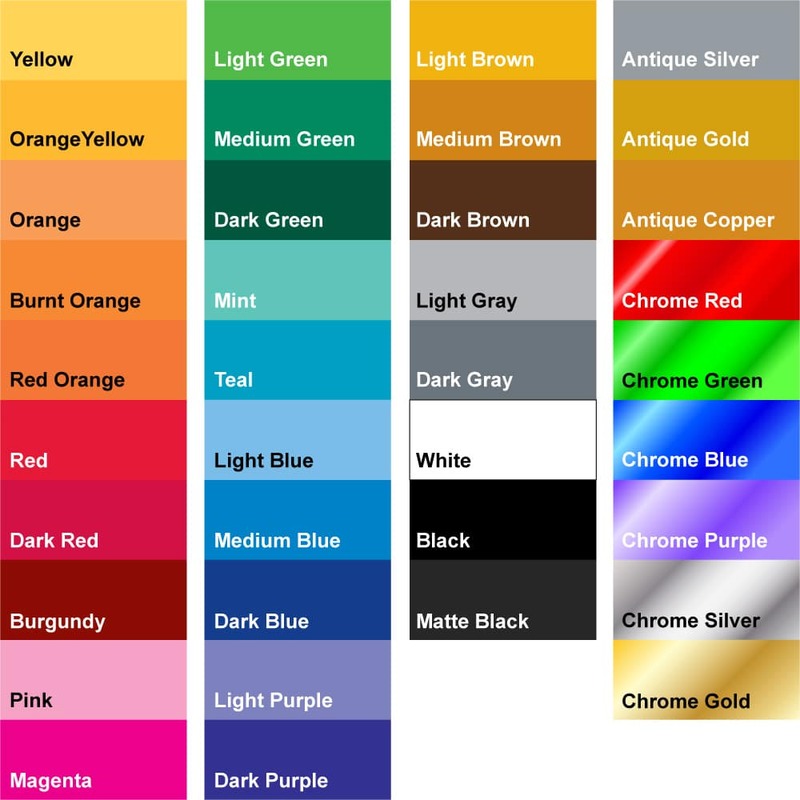 Just choose your color from the drop-down menu.